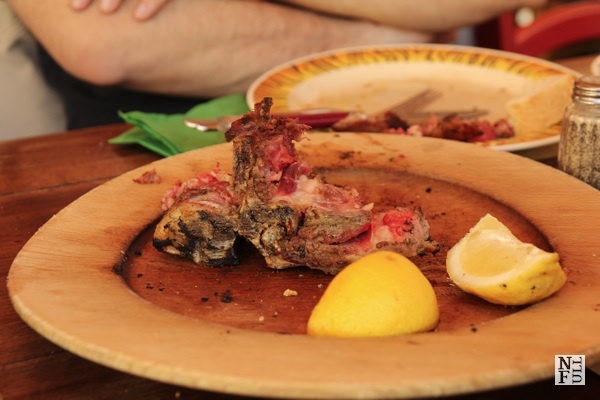 How to eat an exquisite bistecca alla fiorentina if you are a tourist? 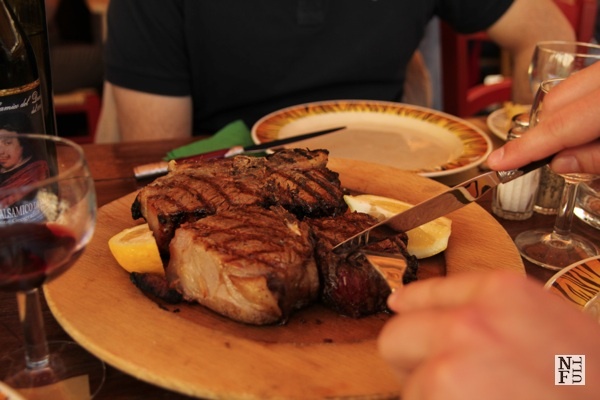 How to eat an exquisite bistecca alla fiorentina even if you are a tourist? Let’s face it: there is no way to eat the real bistecca alla fiorentina outside Tuscany. 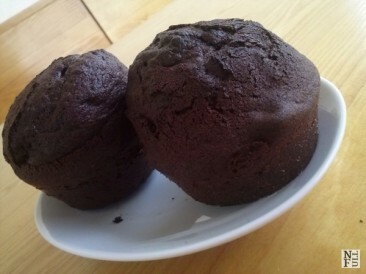 That is the reason why this post is not accompanied by ingredients’ list. Mostly because it would contain: best quality meet and…literally nothing else. 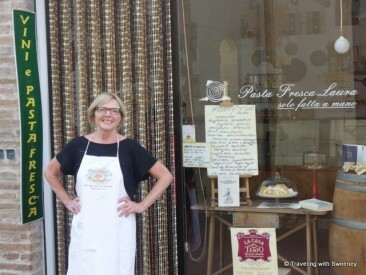 I’m not trying to say that going to Florence or Arezzo and eating bistecca is trivial. Absolutely not! Even if you come to Florence the chances to eat exquisite bistecca are low. Especially if you follow the touristic tracks and you’re easily persuaded by the waiters and other crooks. Luckily, this post will reveal some of the secrets how to eat exquisite bistecca alla fiorentina even if you are a tourist. 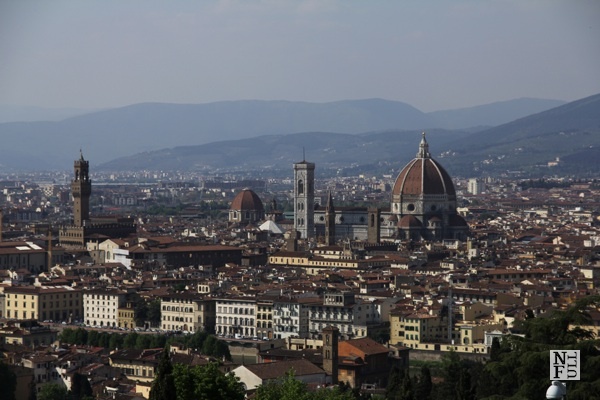 Just like thousands of Italian habits, events and dishes also bistecca is dated back at least to the renaissance times when Florence was run by noble family of Medici. Having a DISH few hundred years old is impressive but keeping its original recipe and eating it today just like 500 years ago is even more so. To celebrate holiday of San Lorenzo there were some entertainment events organized on the streets, and some good quality meet was grilled on campfires. One of the most powerful members of the Medici family was Lorenzo so called Il Magnifico and the festival was organized on August 10th, to celebrate this famous leader who ruled the city. The best fiorentina I have ever eaten was prepared by excellent cooks in trattoria Za’Za’ in Florence (Piazza del mercato centrale, 26). The secret behind the perfection of this dish is hidden in quality of meat and process of grilling. Normally, the best meet comes from two cows’ breeds: chianina and maremmana. 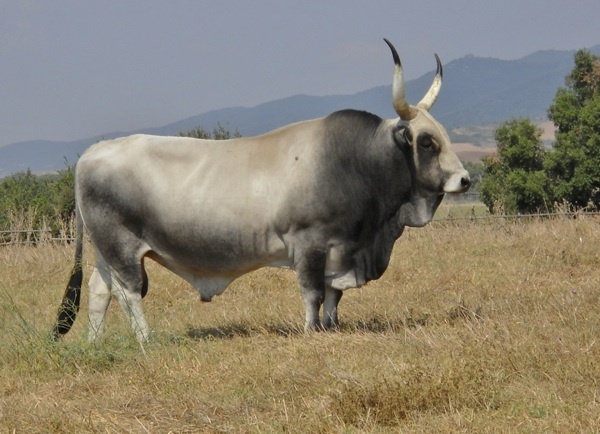 Both breeds are reared in Tuscany, Umbria and northern parts of Lazio. 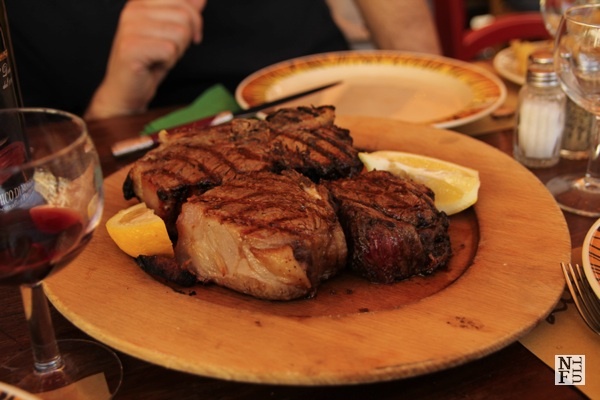 The meet used in fiorentina comes from sirloin steak part and is grilled together with T-bone. As other steaks fiorentina can be rare, medium or well done, depending your own preferences. The restaurant I recommend here is large and very busy. If you want to make sure that you’ll have a table book it in advance. In peak seasons the quality of fiorentina can be slightly worse due to the huge number of customers, however, this is still the best place to eat fiorentina. Don’t be surprised if after entering the restaurant or trattoria you will actually see a half of cow lying on the table. It happened to me once. It was in Arezzo. I entered a recommended restaurant famous of its fiorentina and in front of the huge grille there was a cook standing and literally half of cow was lying on the table. To satisfy the customer you can actually choose the particular piece of meet which seams to be the best one. The grilling process takes a while but in a meantime you can enjoy watching cutting the finger-thick steak and then the process of grilling. My piece was excellent and I swear that the cook did not add any spices! Fiorentina is eaten with roasted potatoes and with red wine. 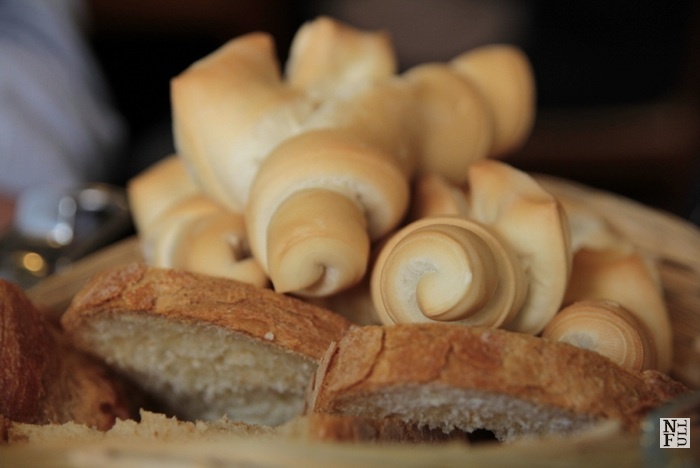 This is the real celebration of the local history and exquisite kitchen tradition. The photo of maremmana cow was downloaded from GeoLocation under the license of Creative Commons. The photo was taken by tuchulca. 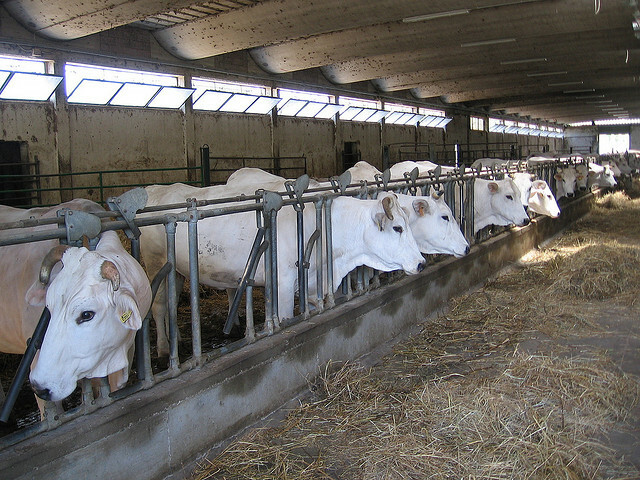 The photo of chianina cow was downloaded from Flickr under the license of Creative Commons. The photo was taken by dorineruter. 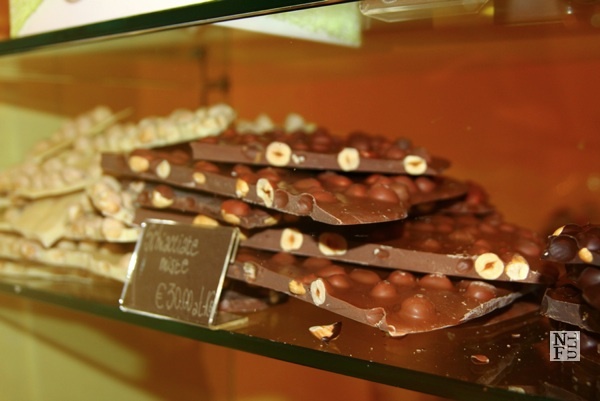 Great post – need to go to ZaZa next summer! It should only be eaten rare, period. The best steak I ate. 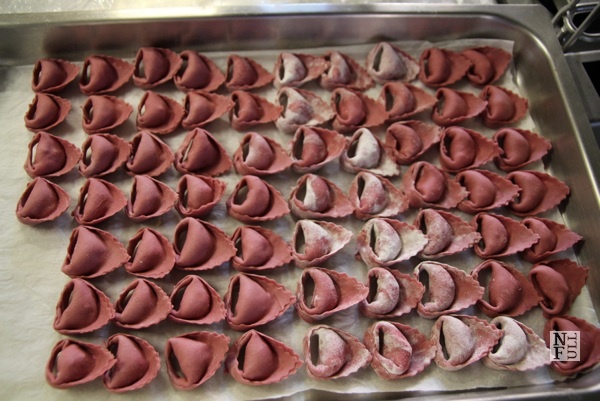 How to prepare cappellacci rossi?